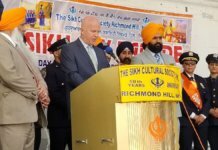 Hundreds of people took part in the June 10, Rath Yatra organized by the International Society For Krishna Consciousness, which began at 45th Street and 5th Ave. and ended at Washington Square Park. 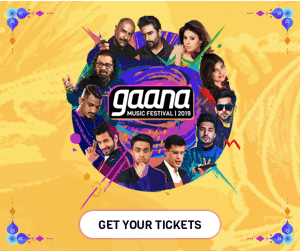 The Ratha Yatra festival is a Vaisnava festival that has its origins in the temple town of Puri, Orissa and is held during the months of June or July. 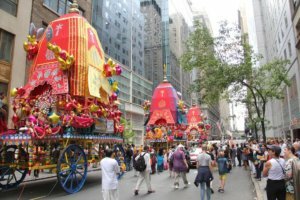 Since 1976, this ISKCON annual Jagannatha Ratha Yatra festival has been celebrated by the Hare Krishna devotees on New York’s Fifth Avenue, and become a common sight in most major cities of the world since 1967 through the ISKCON Hare Krishna movement. Three richly decorated chariots resembling temple structures were carried in the parade by devotees. The parade proceeded down Fifth Ave. and ended at the “Festival of India” at Washington Square Park, across from the New York University campus. At the festival, people enjoyed free vegetarian food prepared by Kare Krishna devotees. Other festivities included Bharat Natyam dances, Hare Krishna bhajans and kirtans and other cultural activities.